Seventymm.com was launched (way back) in 2003 and if we go by Sidharth’s answer on Quora then a combined user base of 300,000 for both Seventymm and BigFlix is not a healthy number. Seventymm acquired Madhouse in 2007 and at that time had 25000 members, after that it has undergone major managerial changes (Sameer Guglani quitting as VP , Corporate strategy in Aug 2008 and Mudit Khosla joining as CEO in Nov 2009). Bigflix on the other hand which launched in 2008 started off well and acquired 80,000 members in just 5 months but after that there wasn’t any news about their membership numbers. So it seems Moserbaer’s solution is being better accepted by Indians as they still go to local markets to buy DVDs and VCDs rather than chasing titles online! Movie rental basically tries to solve the problem of piracy by giving users comfort of their homes, but then as accepted by these players even most of their sales come via offline mode. Netflix the US movie rental major also thrives because of it’s Movie recommendation engine, Indian counterparts’ recommendations on the other hand are still very raw (or are random to say). 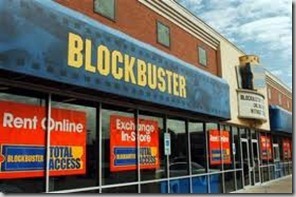 Do you think Indian movie rental services will really close down? Comments and Insights are welcomed! My movie account with 70mm that is valid as per initial agreement for 1 year with nearly 6 months remaining was cancelled without my permission, with no intimation written or verbal. Their customer care phone lines have gone dead with an automated message that no customer executive available, leave a voice message – that is not accepted as mailbox is full (try yourself: 08060600070). After much waiting I fugured out that they converted my membership amount (not sure home much of it) to shopping voucehrs. They have exited ungracefully and abrubtly with no basic courtesy to have clear unambigous communication to its customers. Whatever the business model and logistics they may have in mind, such act is like fleeing from the field leaving your customers to fend for themselves when they counted on 70mm for agreed upon services. Very unprofessional act by 70mm. Have been subscribed to 70mm for 6 months now. Have got I think 2 calls about cancelling in lieu of vouchers redeemable on the e-commerce site, both turned down. For avid movie buffs, its a pity really that such services will not be available. But I had always suspected how would they have survived at such low margins. 1000 bucks for 6 months gives you nothing, add to that administrative, website maintenance and delivery/courier overheads and it doesn’t add up. The high-value e-commerce site in contrast would bode better for the business. However, I agree with ‘Withheld’ above in that the shopping site doesn’t look too good and may meet the same fate. Am glad tho’ that I was privy to the service, and inspite of their many teething problems, have partook many nice movie-watching sessions. Thanks and RIP. I realize this is an old article, but it was the first one that came up when I searched for ‘Seventymm movie rental closing down’. Even as a reasonably satisfied customer of the service for over 4 years, I have for long suspected that Seventymm is in trouble. And, it came as no surprise when I received a call this morning from them announcing that the service is being shut down. And, they promised to refund my subscription fee in the form of shopping vouchers at their online store. Interestingly, I received a call from them about a month ago offering to convert my subscription fee into shopping vouchers–an offer that I turned down. From the looks of it, their shopping site will meet the same fate as their movie rental service in the not so distant future. Sorry to bust the naysayers; but in a growing and expanding middle class population like in India there is no way an amazing service like seventymm or bigflix is gonna shut down. Far from it! I have been a member of Seventy MM for over 3 years in Mumbai and barring some delivery issue hiccups some odd month here and there and which were sorted soon enough, I am supremely satisfied with their service. Whoever these guys are are unaware that seventymm or bigflix delivers the DVD’s home must be illiterate or dumber than Jim Carrey’s character in Dumb and Dumber! I mean do these guys have enough basic intelligence to even surf the net and read and sift through written content on a website? Vast numbers of people are indeed rushing to buy CD’s and DVD’s – the ones sold like kachra by Bania Companies in Kirana stores like Moser Baer but only to dispose them off after one viewing. Serious movie watchers like me are still pinching ourselves to believe that companies like Seventymm.com exist! Their website is incredible, choosing movies is a breeze and their IT and their logistics system is now pretty much flawless. The titles that I want to see – couple of Seventymm orders are lying near me right now – Capone & In bed with Madonna – there’s no way I would buy these from a store. I am a serious movie watcher and God knows there are millions like me in India’s big cities. I rarely watch the same movie twice and besides why buy when you can rent! The ease of browsing movies on the Seventymm.com website and choosing them and getting them delivered is a process which is utterly non-disruptive and wonderfully fluid and efficient to say the least. The logistics is superb and their email and sms reminders that reminds me that my chosen DVD’s have left their building and will reach my house today is great! I know I can settle down at 10 pm in the night tonight for four hours of great movie watching (I have their 2 DVD unlimited scheme) on my Samsung Series 7! It seems like not too long ago that I was barking down the phone at inefficient mom and pop rental services like Showtime, Movietimes, Readsure asking for the DVD’s to be delivered and repeatedly calling them and reminding them. A trip to these stores was just not worth it. Just a handful of DVD’s on display, disinterested staff, inefficient information systems were just a few of the pains associated with these guys. Heck these local rental guys don’t even have an updated website! For the kind of yearly fees that I pay to seventy mm for getting two dvd’s delivered to my house every other day for an entire year costs a laughably low sum – an amount which would be far less than just a couple of outings to the cineplex with my better half! Chasing titles online is the only way to go from her now and Seventymm and Bigflix have a headstart in this space. Wont be too long before big money starts pouring into their coffers! More power to Movie Rental Services! p.s. scratched DVD’s were a problem – but no more. For the last one year, most of the DVD’s are flawless. Consider replacing your old DVD player if the movies are skipping. Thanks for your comment Atin. But based on some insider news, SeventyMM is not doing very great! 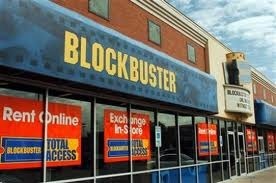 Would like to add one more possible reason for movie rental business failure. Growth of DTH and its ‘movie on demand’ offering. The piracy over the net will kill all these DVD/VCD rental system. Its already beginning to. As the internet connectivity improves in India, the impact on cinema rentals, movie tickets etc will go down too. 1. There is no point in renting a Hindi movie. Hindi movies come cheap on Mosearbaer or we watch them in a theater or it appears on TV after a month, sometimes even before the official dvd is out. Movie rental services are essentially for watching movies that are either not available in market or very expensive to buy. Once you have exhausted your list of movies to watch you don’t know what to do with your subscription. 2. These movie rental services allow people to keep the movie for as many days as they want. So sometimes there is a scarcity of a popular title. Even if the company has multiple copies of movies they are not available. 3. May be this applies only to me – I would get English movie DVDs from seventymm because it would come in the original case and with the extra features disks. For movies say like Avatar, the special features disk is of as much importance as the main movie (At least to me). Seventymm stopped sending out them over time. May be the original cases were broken or people just didn’t return them. Seventymm replaced original cases with their own envelopes and removed the extra features disk from it. Now they ship only the movie. Just the movie is of no great use to some users like me. 4. Bad quality – disks after repeated use tend to wear out and become unreadable. They send you another disk if available but then it starts happening too frequently and you get irritated. Services like seventymm provide a great service and a great value for money but they have a limited appeal. Only if you are a great movie buff it is of any use. Hey Rabi.. Thanks for taking a insight at this issue.. I have been a bigflix member for more than couple of years now. Bigflix service has been the best till date. The reason for movie rental services not going bigbang is the lack of awareness. There are so many friends of mine who didnt know that the DVDs come home directly and you dont need to collect it from any store! After me telling my friends, a couple of them actually subscribed. As you have mentioned, at 25000 customers, it is a very profitable business. As the Numbers grow the problems of handeling start. Even for customers if they watch 6-7 movies a month, it is less than Rs50 each movie which is very very economical. Not all DVDs cost as low as moserbar and definately not the English ones. Bigflix should spread the awareness as well as choose the store locations carefully in more educated societies, and they definately will be profitable.